I’ve been ticking off goals on my life list left, right, and center and one of my most recent ticks was being published on one of my favourite blogs as a guest blogger. Do yourself a favour and read my post and then explore Wendy’s blog I Love Devotionals – amazing! My post is about how a little sparrow and the meaning of my name reminded me of God’s love for me. Today it dawned on me that I have a double barreled name. My full name is Jenna-Leigh. This means there is another half to my story. For he is our God, and we are the people of his pasture, and the sheep of his hand. O, that today you would hearken to his voice. And there He does it again. God just swept me off my feet and romanced me in a way that only He knows how. Both Jenna and Leigh are reminders that I am God’s child and that he cares for me like a Shepard cares for his sheep. For he is our God – That he is! and we are the people of his pasture – God sees us as his own, his flock. He cares for us like a Shepard would care for his sheep. O, that today you would hearken to his voice – God is calling you, inviting you, pursuing you, fighting for you, if only you’d hear his voice and follow him. 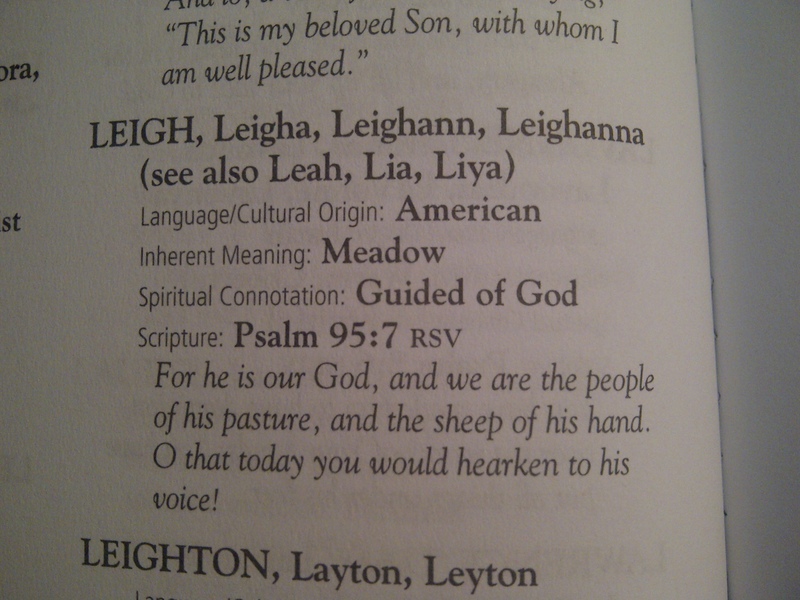 I think we all can learn from this verse, it’s not meant just for the Leigh’s of the world. We can all learn that God cares greatly for us and that he is constantly speaking to us, inviting us to get to know him and his will better. 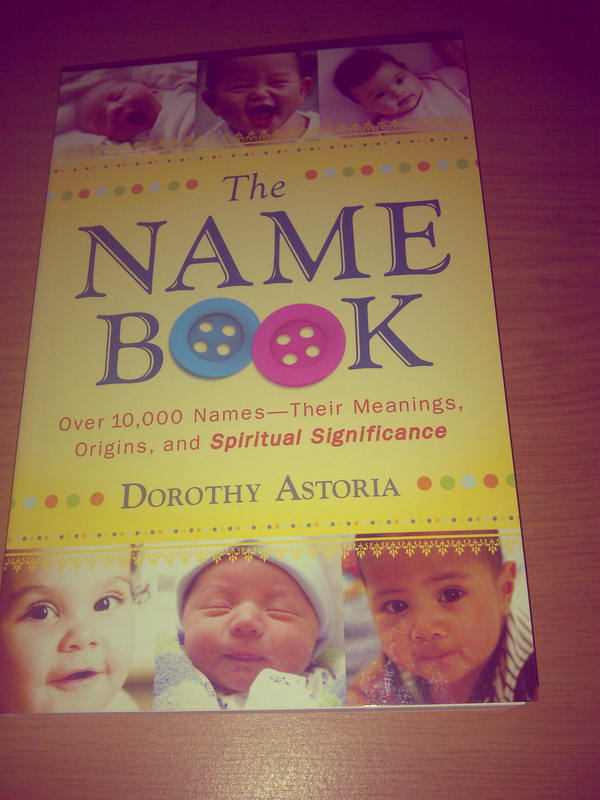 Wondering what your name means and which verse goes along with it? Leave a comment below and I’ll gladly share with you! Then we … shall be caught up together with them in the clouds to meet the Lord in the air. And thus we shall always be with the Lord. Then I will let you dwell in this place, in the land that I gave to your fathers forever and ever.